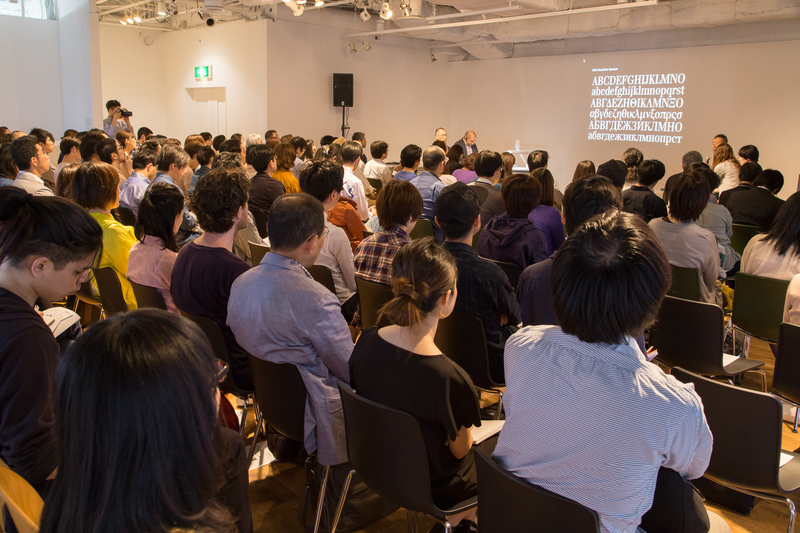 Sponsored by Monotype, the 2014 TYPE& events in Tokyo included a masterclass for professional typeface designers, and presentations and panel discussion on multi-script typography and typeface design. The events captured the growing interest by Japanese type foundries to expand into Latin typeface design, and gave an opportunity to discuss Reading’s approach to developing multi-script design skills. Gerry Leonidas ran the masterclass on the first day of the event, and presented on the second, answering many questions on the MA Typeface Design programme’s contribution in the area. Reading alumna and Monotype employee Reiko Hirai was instrumental in the success of the event. Gerry will be moving to a different part of Tokyo to spend a week at Mushashino Art University, and give a public lecture at the Toppan Printing Museum.